Mortgage servicers use lender-placed insurance (LPI) to protect the collateral on mortgages when borrower-purchased homeowners or flood insurance coverage lapses. The 2007-2009 financial crisis resulted in an increased prevalence of LPI. Because LPI premiums are generally higher than those for borrower-purchased coverage, state insurance regulators and consumer groups have raised concerns about costs to consumers. This book addresses the extent to which LPI is used; stakeholder views on the cost of LPI; and state and federal oversight of LPI. 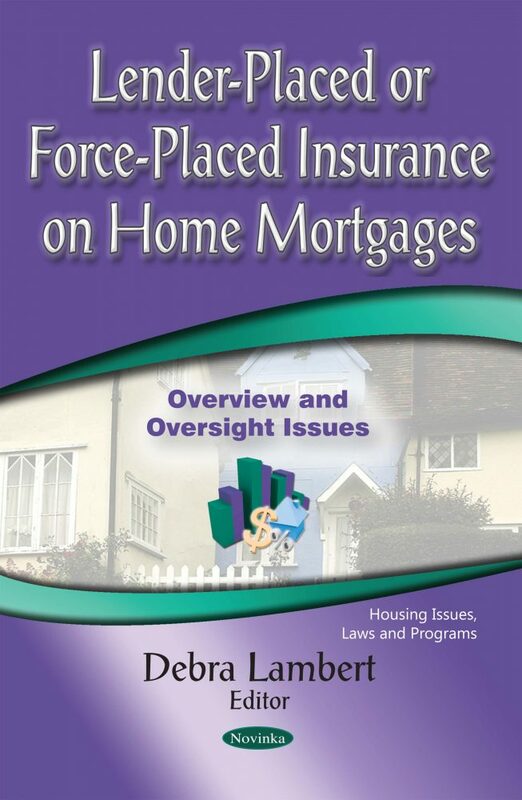 Furthermore, this book evaluates the financial impact of the LPI market upon Fannie Mae and Freddie Mac (collectively, the Enterprises); and determines whether the Federal Housing Finance Agency (FHFA), in its role as the Enterprises’ conservator, should undertake additional LPI-related actions.